Home / Celebrity / Empire / Fashion / MAGAZINE COVER / Taraji P Henson / TARAJI P HENSON COVERS ENTERTAINMENT WEEKLY. TARAJI P HENSON COVERS ENTERTAINMENT WEEKLY. The Queen as most of us know her from EMPIRE SERIES. 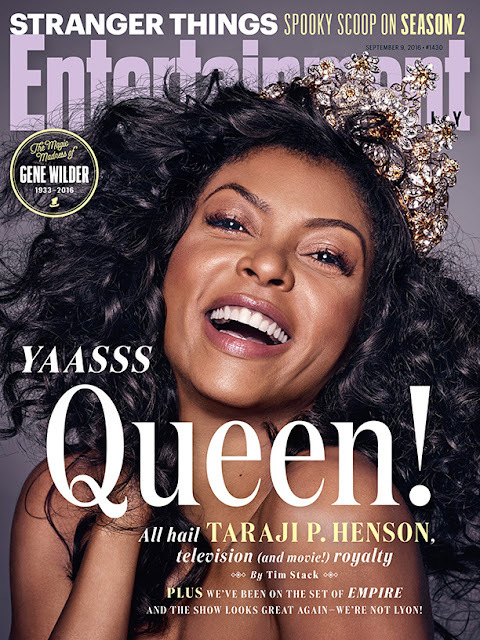 Taraji P Henson on the cover of Entertainment weekly ya this week, ndani talking about her role kwenye Empire na how she would love to play other characters. for more visit Entertainment weekly.